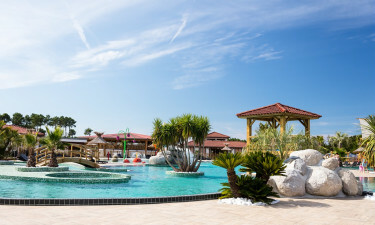 Au Lac de Biscarrosse holiday resort is perfectly located so holidaying families can enjoy the dual delights of the Atlantic ocean and the contrasting rolling landscapes and scenery of the Les Landes countryside. Perched on the banks of a nearby freshwater lake, the resort extends a tranquil and invigorating environment to make that perfect camping holiday a reality. The site offers the very finest in luxury camping, with a selection of mobile home accommodation choices on offer to guests. To check for availability or book your place to stay, log on to LUX-camp today. What stands out about Au Lac de Biscarrosse campsite? Conveniently situated beside the Atlantic ocean with contrasting surroundings of soothing forestry. A 1,400-metre pool complex with all the extras. Varied choice of physical activities. Au Lac de Biscarrosse campsite is a five star resort and lives up to its rating. Perched on the banks of the nearby Biscarrosse lake, you will not have to go far to ease into the peaceful ambience. There are many walkways and trails around the lake and numerous activities to choose from: kayaking, fishing, sailing plus windsurfing and body-boarding. You can even go horse riding if you want to get a panoramic view of the sensational Landes forest region. There are several swimming pools that are heated and covered over, including a paddling pond for toddlers. The spacious lagoons come equipped with a counter-current pool, water slides and a sauna with hot tub for the adults to enjoy. The surrounding terrace provides sunbathing deck chairs, so parents can kick back and relax while supervising the younger ones. There is an organized kids and teens club that incorporates water sports tournaments and onsite games, all of which guarantee hours of fun for vacationing guests. Au Lac de Biscarrosse campsite wants to make your stay as pleasant as possible so they have made every effort to impress with their resident, onsite well-being centre. 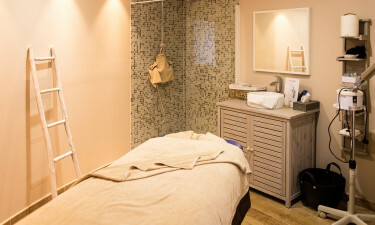 Pampering treatment options include facials and manicures as well as full body massages. 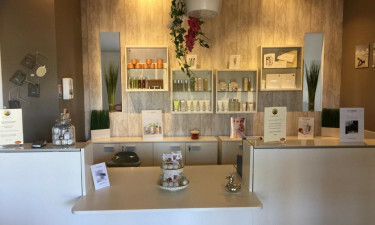 They have their very own beautician to advise on other beauty treatments. Afterwards you can avail of the sauna or whirlpool or simply take a dip in the Atlantic Ocean waves, which are only a stone's throw from the resort. The site has a restaurant with a varied menu and you can eat indoors or al fresco. If you fancy something light, a small snack bar and a take-away service is also in operation. Sip on a glass of chilled wine in the onsite bar.